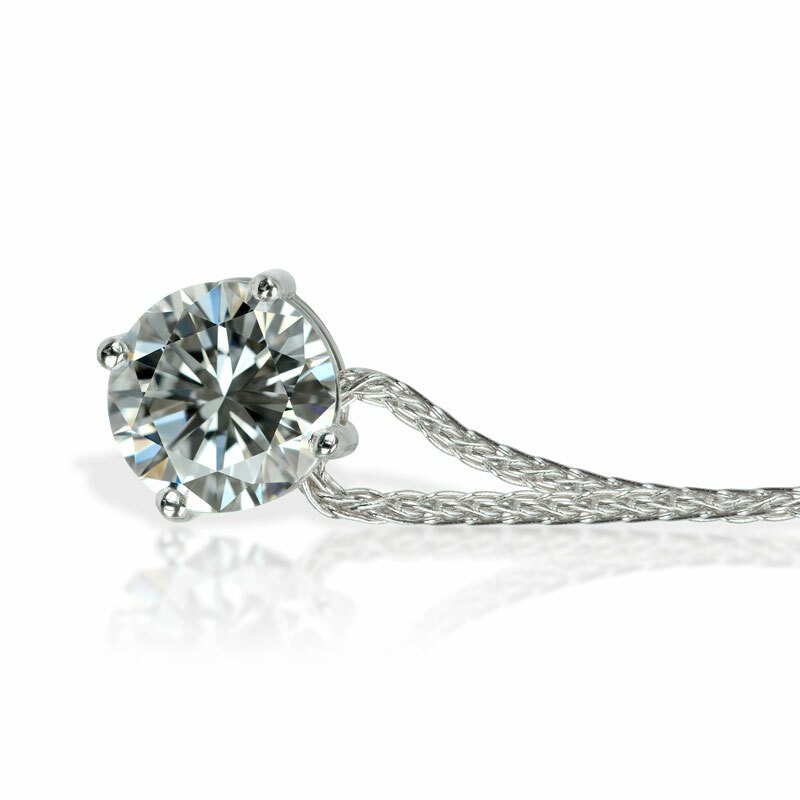 A simple yet elegant pendant showing of a 1ct round brilliant diamond. 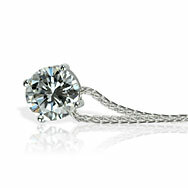 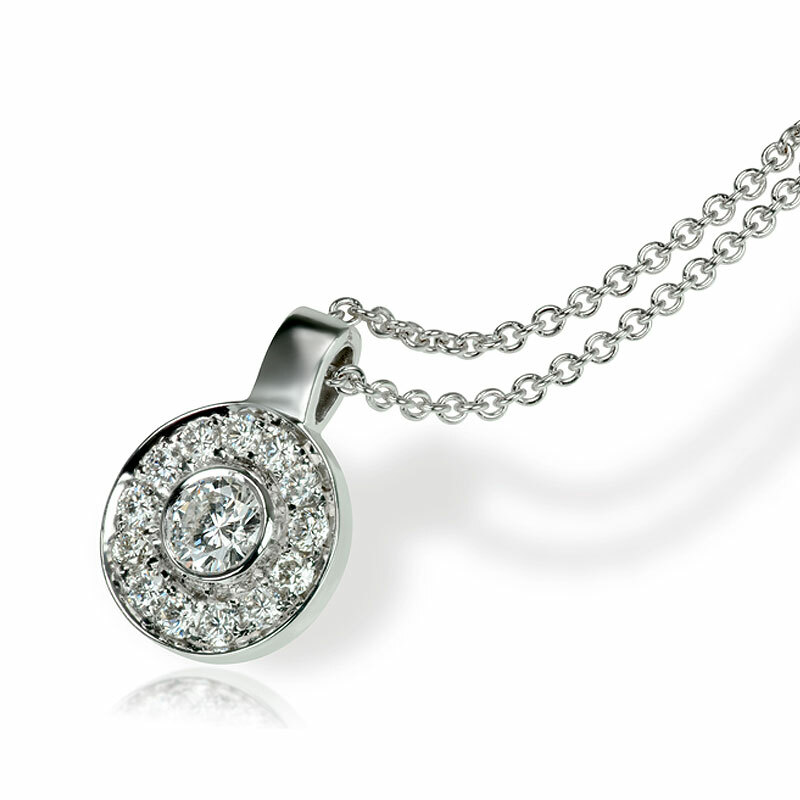 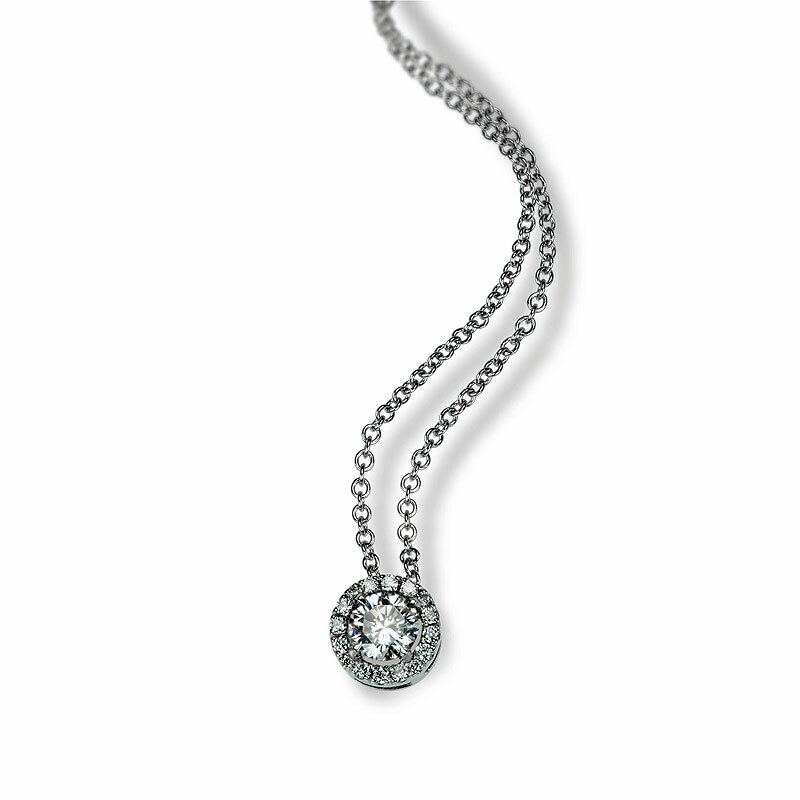 This stylish pendant has a framed central diamond encircled by pavé diamonds. 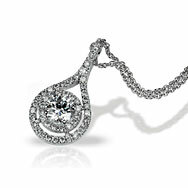 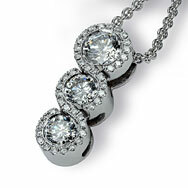 This trilogy style pendant incorporates 3 round diamonds with swirly micro pavé set diamonds. 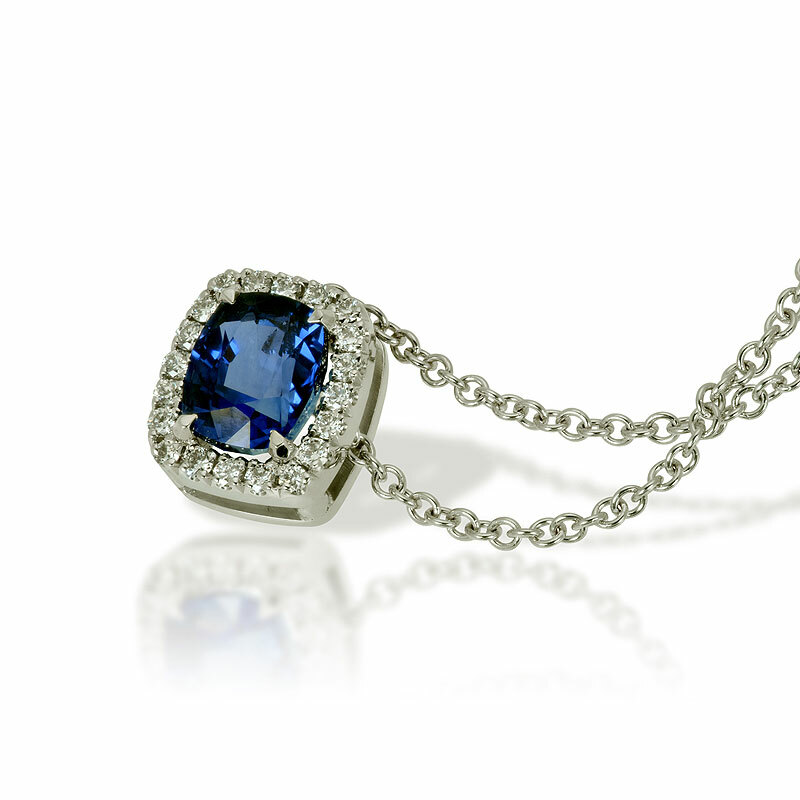 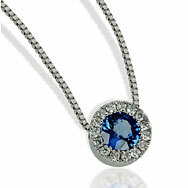 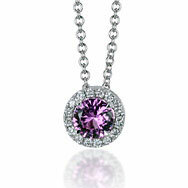 A fabulous halo style pendant showing off a central cushion cut sapphire. 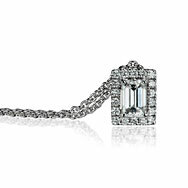 A vintage style pendant with a central emerald cut diamond and micro pavé diamonds. 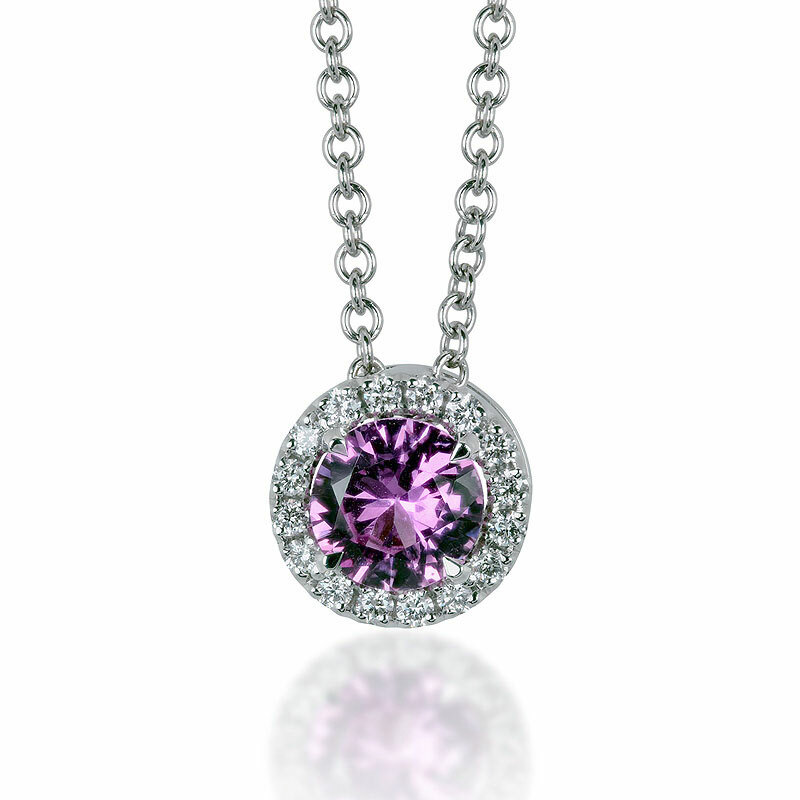 A colourful pink sapphire set in a halo of micro pavé set diamonds. 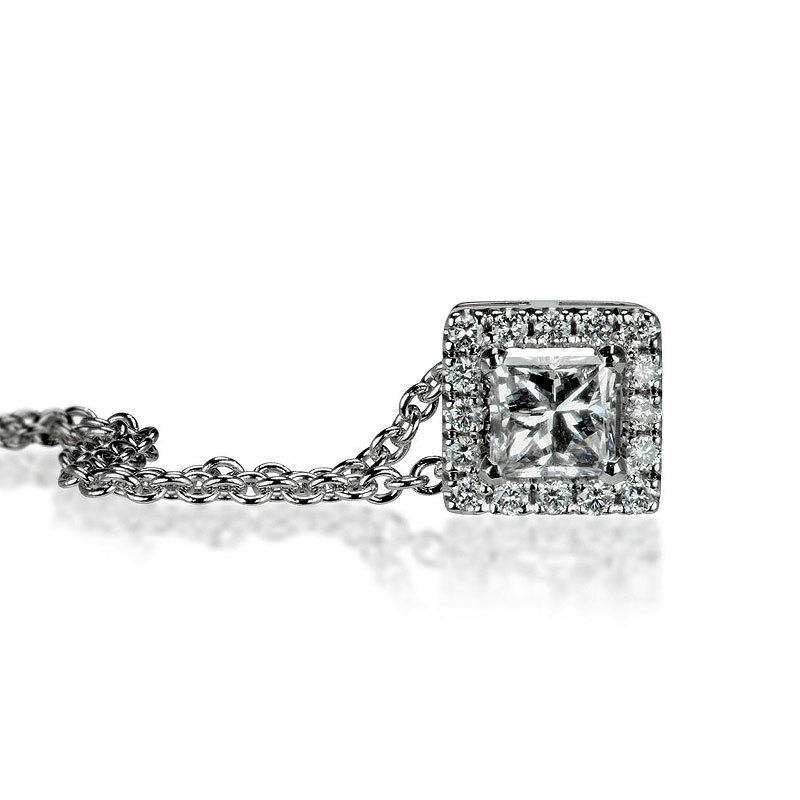 An elegant diamond halo pendant featuring a Princess cut diamond surrounded by micro pavé diamonds. A wonderful pendant with a double flowing halo an round diamond centre. 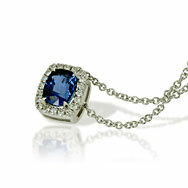 A colourful blue sapphire set in a halo of micro pavé set diamonds. A stunning necklace with a round diamond halo pendant.